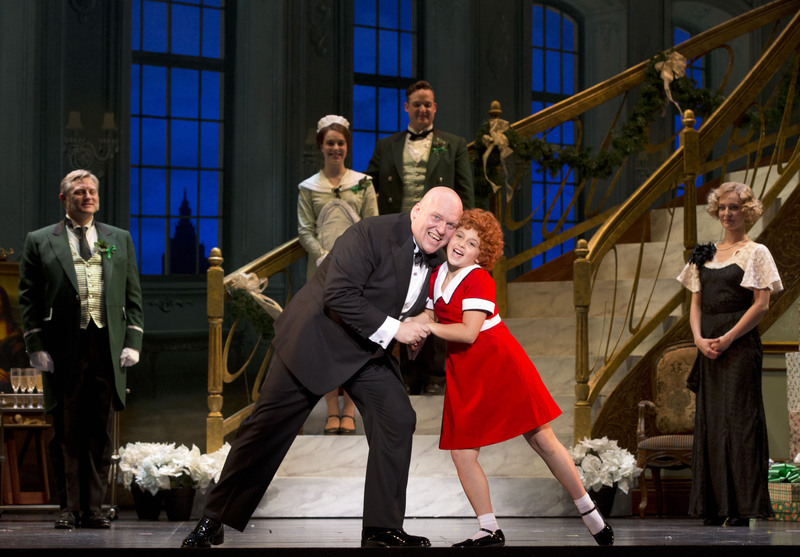 Once again, Broadway Across America brings an incredible performance to Austin with Annie at Bass Concert Hall. 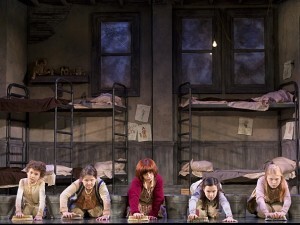 If you haven’t purchased your tickets to see Annie this week, stop reading and go buy them now. The show runs April 21-26th, 2015. I would definitely say it is appropriate for all ages but the evening performances are a bit late for the under 7 crowd. I had the pleasure of going with a friend on opening night last night. Obviously any little girl in the 80s knows the songs and the story line. And likely any little girl in present day does as well thanks to the remakes of the movies. A few things really stood out to me. 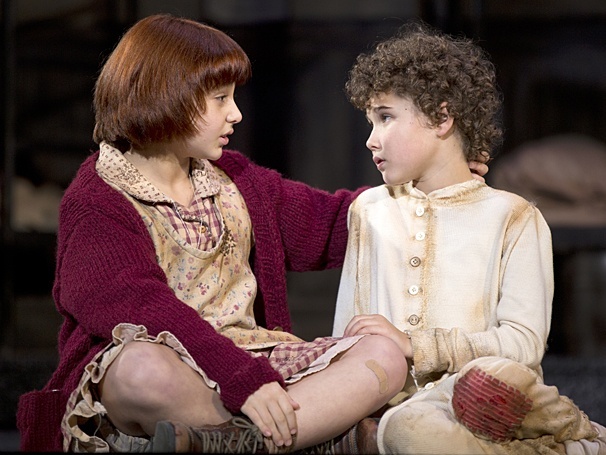 All of the child actresses were unbelievably talented. When you think about how young they really are, it blows your mind. They attend class, rehearse, and perform almost every night of the week. These kids are on the road traveling for weeks at a time. They all brought a level of energy and talent to the performance that really made the performance. 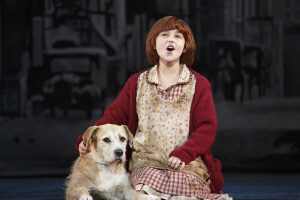 I know I am supposed to say my favorite was Issie Swickle who played Annie. Don’t get me wrong she did a fabulous job at her role. But she was upstaged a bit by the adorableness of Lilly Mae Stewart who played Molly. Molly was the cute little curly haired girl in the performance. She was so charismatic and every time she was on stage the audience was in love with her. If you are curious to read more about her, here is a great article. 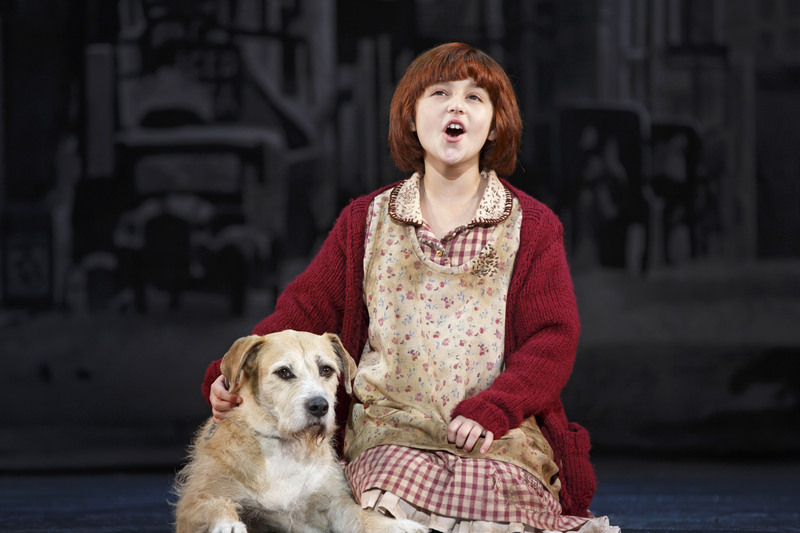 Annie was her national debut. I have no doubt that she is going to do incredible things in her career. I don’t want to diminish Issie Swickle’s performance by any means. I do think her acting was far superior to her singing abilities but I am not an expert when it comes to music. Here is a clip for you to hear yourself that was shared by Bass today. I didn’t realize Sandy would actually be a key role as well. 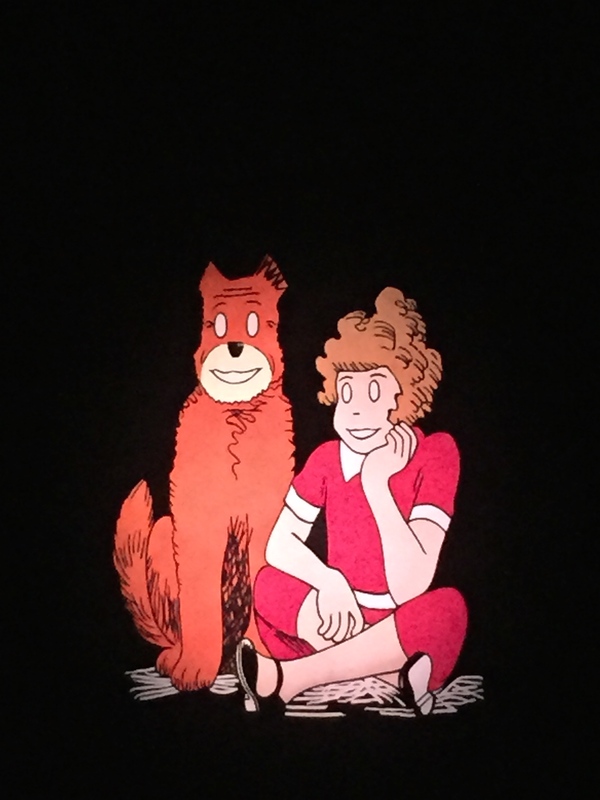 There were two dogs that played Sandy and I am not quite sure which one we saw or if both were on stage. It is official though, our Daisy Belle dog doesn’t have what it takes to be a doggie star. If awards are given, these dogs deserve all the doggie treats! Miss. Hannigan was played by Lynn Andrews. She was made for that part. I wanted to keep picturing Carol Burnett but couldn’t because Lynn was so convincing! 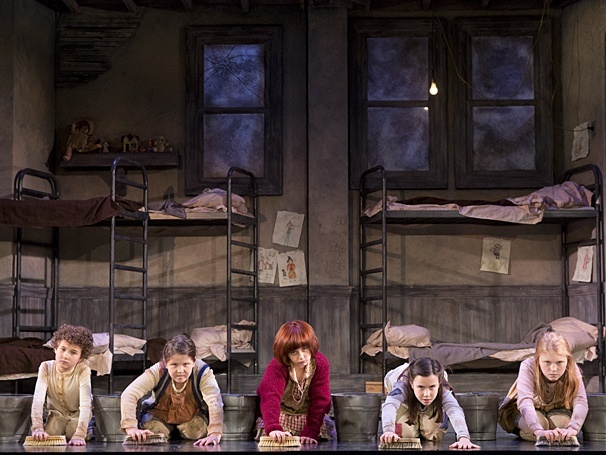 The last part of the production that I feel was one of the best of the season was the set production. Not a single detail was spared. There were a lot of set changes and they were completely seamless. The New York City backdrops were actually flat but you would have never known because they created the illusion of dimension. As you all know by now I compare a lot of things to Disney and the set design was one that I thought was on par with the imagination you would find at a Disney performance. Any little girl, grown or just one at heart, would love this performance. I think it would make a great mother/daughter outing and of course a girl’s night out! Go see for yourself. You will leave smiling and quite possibly singing! *This review was of my own opinion. I did receive complimentary tickets to provide an honest review for the show.